It is suggested that you try KingoRoot Apk first. It is more convenient and easy to use without connecting to a computer. Allow installation of apps from unknown sources on your Android device. Free download KingoRoot.apk on your Android. Press "One Click Root" on the main interface. Wait a few seconds until the result appear. Try a few more times for different rooting methods if failed. If still failed, refer to KingoRoot Android PC Version, which has a higher success rate. Make sure you get everything right beforehand. 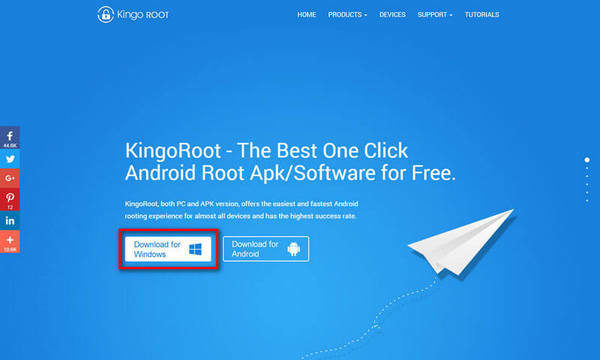 1) install KingoRoot Android (PC Version).Kingo offers the best one-click Android root software for free. Just download and install it now. 2) Double click the desktop icon of Kingo Android Root and launch it. 3) Plug your Android device into your computer via USB cable. 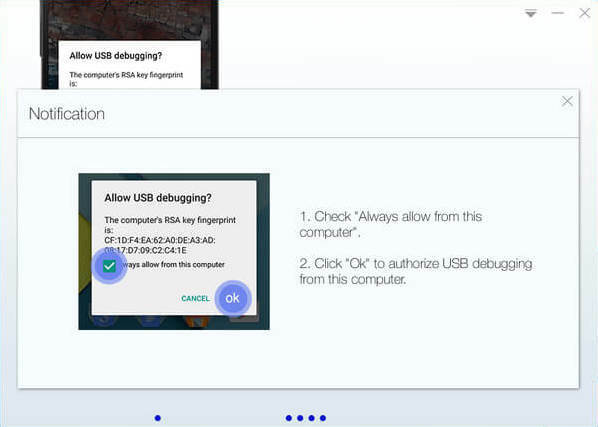 4) Enable USB Debugging mode on your Android device. 5) IMPORTANT: Pay attention to your device screen for a prompt window. Tick "Always allow from this computer". If you don't, you will probably get yourself an OFFLINE DEVICE. 6) Read notifications carefully before rooting your device. 7) Click "ROOT" to root your device. 9) Check the root status of your device. Normally, you will find an app named "SuperUser" installed on your device after successful rooting.